In 2015 Brandeis University was ranked #1 by the Princeton Review for student involvement in community service. BNC Boston is proud to emulate that same spirit. 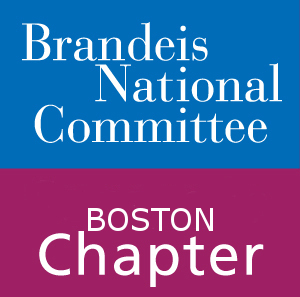 This year BNC Boston will focus our volunteering efforts on the Waltham Group, Brandeis University’s primary outreach organization. The Waltham Group has many programs spanning a variety of community needs, but we have selected three that suit our membership especially well. The Prospect Hill Community Center came to be from collaboration between Brandeis University, Bentley University, and local agencies, as a space to serve the Prospect Hill Low-Income Housing Development community. The center is primarily staffed by Brandeis and Bentley volunteers who create programming and a safe place for children to go after school. BNC members would go one or more times a week for an hour or longer to help tutor and lead educational activities, alongside Brandeis and Bentley student volunteers. The Center runs its programs during the school year M-F 3:00-5:15. Memory Cafes provide a safe, relaxing environment for adults with memory diseases. This program runs on the first Friday each month and is run by the Jewish Family and Children’s Services. Part of each 2 hour event will feature an artist while the rest of the time is conversation and socialization based. BNC volunteers will be working alongside Brandeis student volunteers. WATCH serves immigrant residents of Waltham of all ages with English language tutoring. These sessions often focus on vocabulary and language skills to assist their children with school work, getting a stable job, and attaining citizenship. Volunteering with WATCH allows for a very flexible schedule. Volunteers will meet with their language learner once a week anywhere they choose within Waltham. Volunteer tutors do not need to speak a second language, or a teaching background, only a passion to help fellow community members.